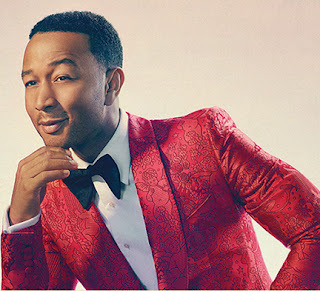 Newly anointed EGOT winner and critically acclaimed, multi-platinum singer songwriter John Legend has announced a Christmas tour in support of his first Christmas album, A Legendary Christmas. A downtown Chicago performance has been scheduled for December 13 at the Civic Opera House. Show time is 7:00pm. Reserved seats ($150 / $100 / $65 / $45 plus a limited number of gold circle seats) become available Friday, October 5 at 10:00am and can be purchased online at Ticketmaster.com, in person at the Civic Opera House box office and by phone at 800-745-3000. The new album is executive produced by Raphael Saadiq and will be released on October 26th via Columbia Records. EGOT winning, critically acclaimed, multi-platinum singer songwriter John Legend has garnered ten Grammy Awards, an Academy Award, a Golden Globe, a Tony Award, and an Emmy Award among others. John is the first African-American man EGOT winner and one out of 15 people who have joined the prestigious EGOT club. In 2016, John released his fifth studio album "DARKNESS AND LIGHT," to rave reviews and toured to sold out audiences across the globe. He serves as one of the principles for Get Lifted Film Co., a film and television production company based in Los Angeles. Get Lifted Film Co. serves as Executive Producers on NBC’s live production of Jesus Christ Superstar, the HBO documentary "Southern Rites," 2018 Tribeca Audience Award Winner Documentary United Skates, WGN America's series "Underground," and films such as "Southside With You" and "La La Land." In 2015, John initiated the #FREEAMERICA campaign; a campaign designed to change the national conversation of our country's misguided criminal justice policies and to end mass incarceration. In April 2018, John released a new track "A Good Night" Featuring Blood Pop and starred as Jesus Christ in NBC's Jesus Christ Superstar Live! He was nominated for an Emmy Award this year for Outstanding Lead Actor In A Limited Series Or Movie and just won an Emmy as a producer in the category of Outstanding Variety Special (Live) for Jesus Christ Superstar Live! Jam Productions, Ltd. is the largest independent producer of live entertainment in the United States. Jam, located in Chicago, Illinois, is a forty-year-old, full service concert and special events producer. Jam has worked with every top name in the music industry over the last forty years; from Frank Sinatra, Michael Jackson and The Grateful Dead to Bruce Springsteen, U2 and Whitney Houston to Mumford and Sons, Adele, Zac Brown Band and thousands of others.Jam promotes concerts in the greater Chicago area, the Twin Cities in Minnesota and around the rest of the country.